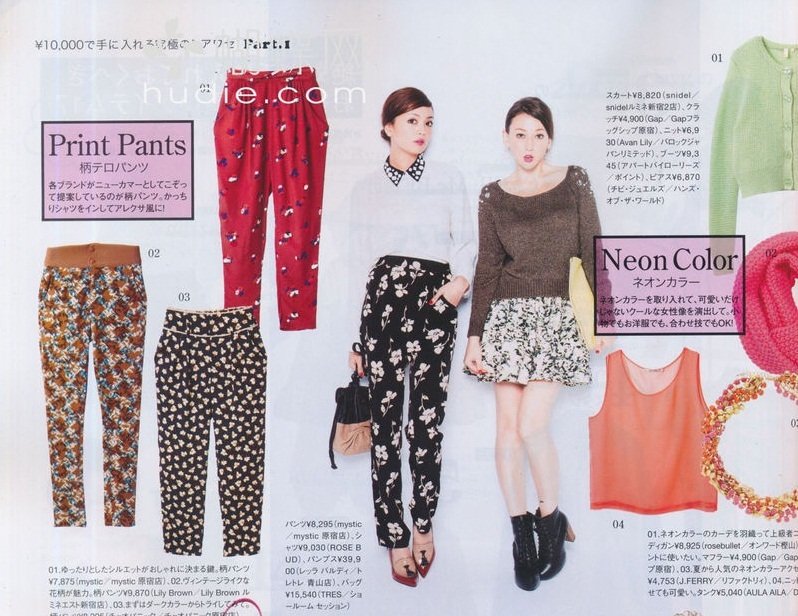 I was going through some scans from the Sweet December issue and found some inspo outfits for spring that I'd like to try. I always like to set my mind out for what I'm going to buy next season with the aim for trying out different and new styles that I have not in the past. When it comes to fashion, I'm all about embracing new ideas and looks for outfits. I want to try as many different looks as possible while still remaining true to my original style. It's just that I like to see myself grow and transform as I mature and get older. I'm obviously still not over my love for leather skirts. It's on my "must get" item for the spring as well as getting a nice leather jacket. Also, I can't seem to stop my obsession with fake collar necklaces. Peplum skirts is also something I'd like to try for the spring as I don't have any in my current wardrobe. I used to think Peplum skirts are more for older and mature women but now I'm seeing that they can be quite suitable on much younger women who are in their early to mid 20's. Floral print pants and skirts have been a big hit in the past recent years. I'm beginning to notice them more in stores now and developing a love for them. I'd like to get a few pattern print skinny pants for the spring to change up my usual look of wearing skirts all the time. After all it has been years since I last bought a new pair of pants although I think I'd most likely being wearing my skirts and dresses more, it's nice to have options for a change sometimes. lol. Japan and its cat obsession. I want the cat pearls ear headband, it's so cute! Another one of my "must get" items for 2013. And I will forever have a love for lace dresses! I just can't ever get enough of them.